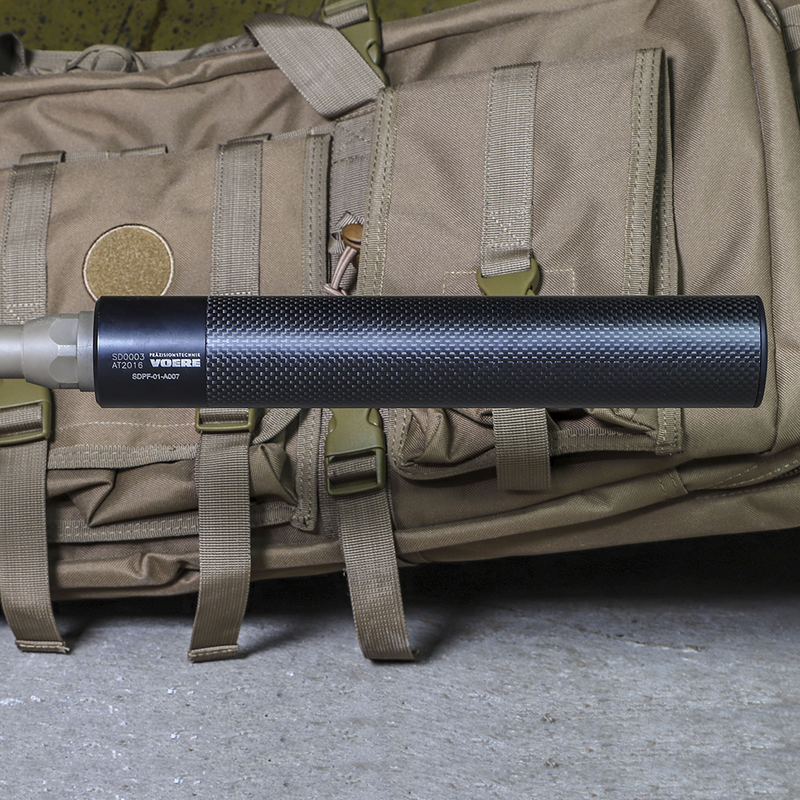 Our hunting silencer can be mounted ob the barrel with the help of a clamp- or thread-adapter. 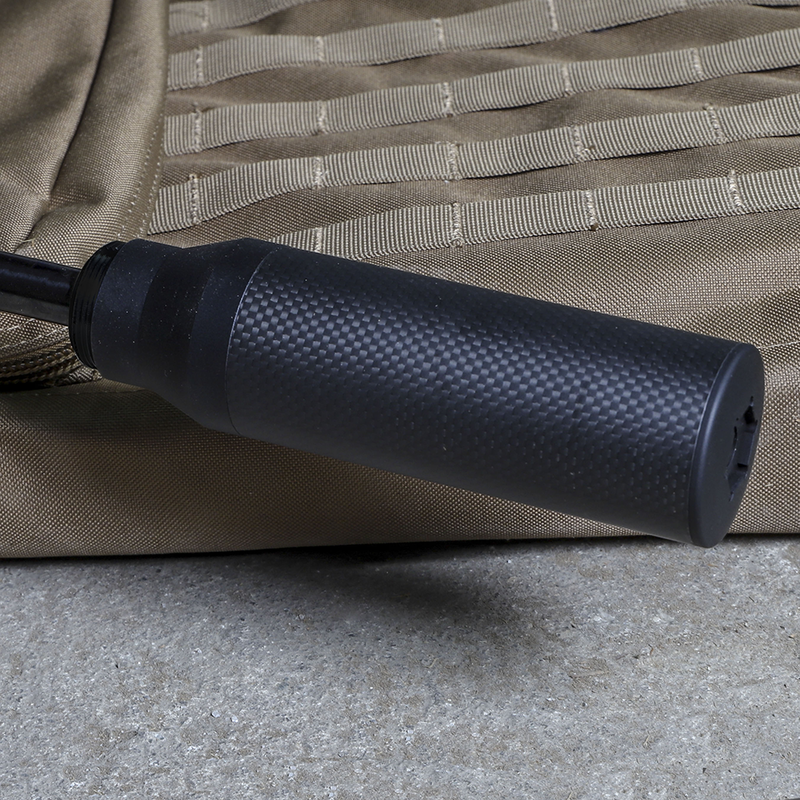 If there is already a thread, the silencer can be easily mounted through the thread-adapter. If there is no thread, a patented clamp-adapter can be used. This will be mounted on the sight of the barrel. This can also be reworked afterwards. 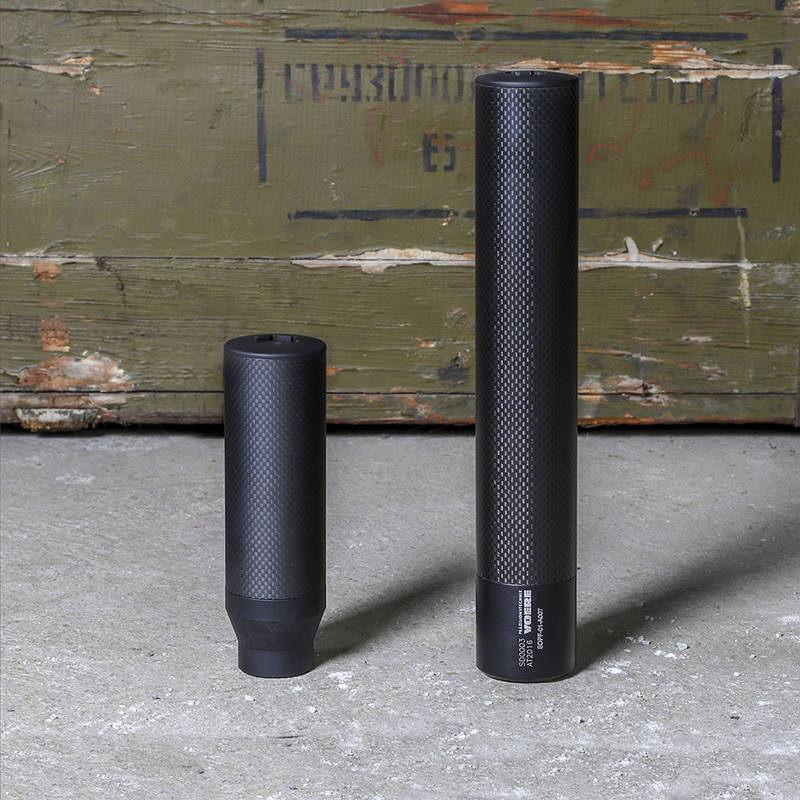 The hunting silencer is also available as a long version with 284mm. Our innovative adapter ensures no rifle amendments are necessary! The following clamp-adapters are available. The following thread-adapters are available. Our modular silencer for sporting applications has an extremely high damping performance due to its material combination of aluminium / steel / carbon. The target silencer is also availble as a short version with 160mm. Our tactical silencer is mounted on our muzzle brake. The sight must be screwed down, to mount the clamp adapter.